Sometimes you watch a film and it’s an absolute joy to watch. Inside Llewyn Davis is one of those films. 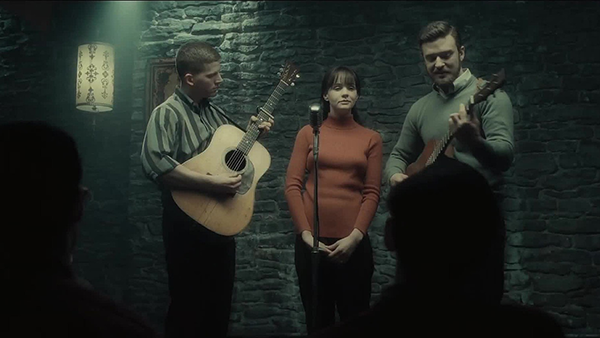 Llewyn Davis (Oscar Issac) is a young folk singer looking for one big break to be successful. He needs all the luck he can get because he’s broke, has no home and spends majority his time sleeping from sofa to sofa or travelling to gigs just to make ends meet. Just like in their films, the meaning or point of a Coen Brothers film is hidden. While some people may have found this boring, that’s simply not the case and I’ll do my best to explain it all. There’s no doubt about Llewyn – he’s a loser and a constant failure. In all honesty he hasn’t dealt or fully recovered from the death of his singing partner who committed suicide. He lives and breathes folk music with their emotive melodies. It’s the only thing he’s good at but no one views him as a potential star. His solo record hasn’t made any money and he’s desperate. He performs whenever and wherever there’s an opportunity for people to hear his voice. In terms of personal relationships, he’s screwed up there too. He somehow manages to give his friends a reason to hate him or despise his musical craft. He turns up at their apartments sleeping on their sofas (or floors), borrows money and got his ex-girlfriend pregnant. Even strangers like Roland Turner (played by John Goodman) can’t see the potential of folk music. In many respects, it’s hard to like Llewyn because he keeps on making bad choices. There’s a lack of stability from him, putting pressure on himself and the people who take him in, especially Jean (Carey Mulligan) and Jim (Justin Timberlake). Because of this pressure, he invites the negativity or the argumentative vitriol onto him. With some characters, especially Jean, it was easy to blame Llewyn for their troubles rather than face facts. Llewyn lives in the moment – he dodges the question about the future by comically replying that it had something to do with flying cars. Even though he tries to live his dream, his desperation makes him narrow-minded and self-centred, unable to see the bigger picture that reality presents. His pride is his main downfall, especially when his dream is not working out. Llewyn does try – make no mistake about that. One chance could change his fortunes and at one point in the film, it looked like it was going to happen. Sadly nothing came of it partly because he didn’t want to change or harmonise with a group. However I also like to think that his singing partner meant the world to him and no one will ever come close, hence his determination to make it on his own and to respect the music he was making with him. He wants to bring meaning in his songs and his simple yet thoughtful melodies are his golden ticket. Yet watch for his reaction when sings/plays on “Please Mr. Kennedy” or when he sings his set at the Gaslight and then the next guy comes on and sings the exact same song. He views them as a gimmick, empty performances losing its power of what music means to him. Llewyn simply wants to make an impact rather than just existing in the world. Even when he eventually gives up, finding no hope in the music business and moves on, another bad choice leaves him once again in no man’s land. Sometimes you create your own luck, Llewyn is an expert in creating bad ones. Llewyn’s real and only decent relationship he has with the world is a cat! It accidentally got out when Llewyn was staying at his neighbours and feels responsible for it’s well being. 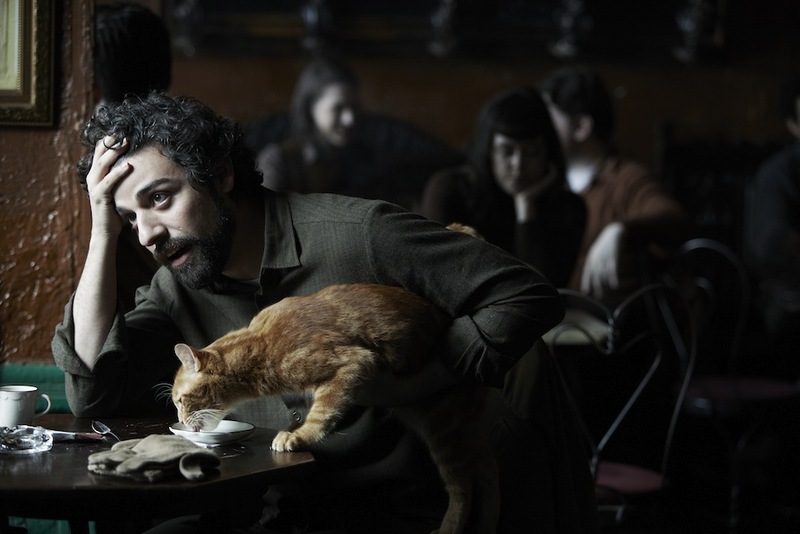 Call me crazy but I think the cat represents Llewyn in some ways. The cat is content with Llewyn. At one point it escapes and Llewyn spends time looking for it. Without spoiling the cat’s journey but it too goes on an adventure just like Llewyn. The cat’s resilience and its survivor instincts are the attributes it’s thrives on, something Llewyn may have to take into consideration. The ending will be a talking point for some because it ends rather abruptly without resolve. Some view it as pointless unhinging the entire film. I view it as hopeful. The bad choices Llewyn kept on making won’t be repeated because he’s finally learning. He’s not useless as everyone is making him out to be. Llewyn just wants to be real and getting punched in the face could be interpreted as a wake up call. It’s a little unclear whether he sees his future in folk music but I get the feeling that in that moment when he utters the final words of the film that he knows he can’t change the world but at least he knows who he is. 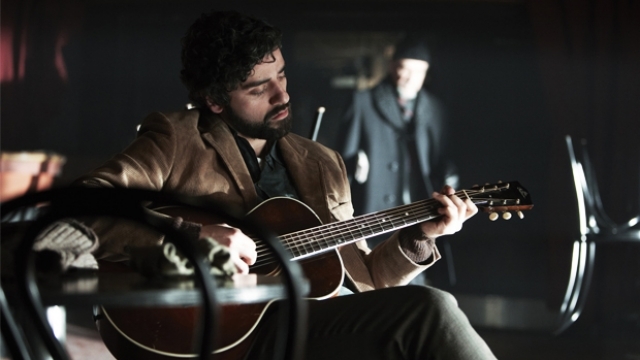 Out of all the Coen Brothers’ films, Inside Llewyn Davis has to be their most heartfelt and sentimental film I’ve watched. Their familiar mannerisms and their wicked sense of humour still exists but in Oscar Issac’s amazing performance, you have a character that you’ll sympathise and somehow recognise within yourself. We’ve all struggled to live the dream, to give life meaning in a complex world full of problems. But we are survivors (just like the cat), and somehow we find a way to carry on. That’s how I view the film even if it’s not interpreted in the literal sense! That’s why I love their films because like A Serious Man, the message is not always clear but you’ll always find yourself having a great time watching to find out what that meaning could be. The cinematography is fantastic. 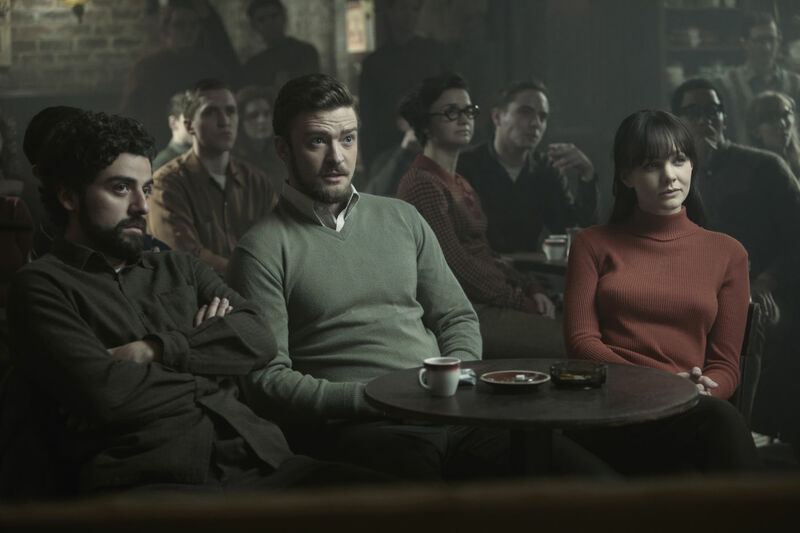 The “washed out” look and the harsh winter of 1961 seem to add more fuel to the fire in regards to Llewyn’s constant bad luck and choices. But most importantly, the true essence and balance of the film is with the music. The whole film is structured like a song with the same verse present at the beginning and end of the movie. It’s beautifully addictive and I’m not even a folk music fan. I can’t stop listening to it and I cannot understand how these songs missed out on an Oscar nomination! I really can’t. The film captures perfectly an era of music that feels forgotten, surpassed by the popular genres of rock and R&B. I enjoyed the sentimentality portrayed in the film. I loved the acting, the humour and the songs. This is a typical Coen Brothers film and if you’re a fan of their work then this film is highly recommended. More and more I think about this movie, the more I love it. Guess that’s just what’s the case with Coen Brother’s flicks. Good review. Most definitely! Their films grow on you and always worth the time.